This is an fun movie! 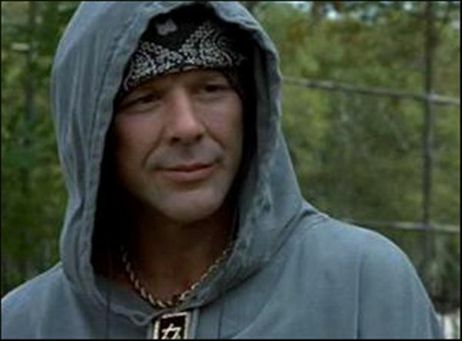 Mickey Rourke is at the top of his game. He looks hilarious as a homie hood who comes out of jail. 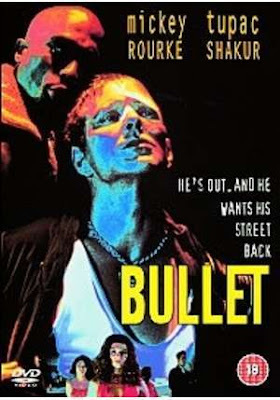 Rourke's character is the title character (and yes his name is "Bullet"). He wears a hoodie for most of the movie and you know he is down and out. I'm laughing just writing about it. You can't take this movie too seriously. I've seen worse movies, and this is really not that bad. Tupac put in a decent performance as the main villain. Overall, it's a pretty tough movie with a touch of goofiness.